← Fairies and Steampunk OH MY! Works In Progress and Other Nonsense. And Next monday, Happy Birthday to me! Yeah…I had to get that out there. But I got awesome plans for my birthday this coming weekend which involves Disneyland, Mr. Max, and HOPEFULLY dinner at the Blue Bayou. WOO HOO! Some more silly sketches from my brain. Muffin is my Gnome fighter from my monthly Pathfinder RPG game Mr. Max is running. 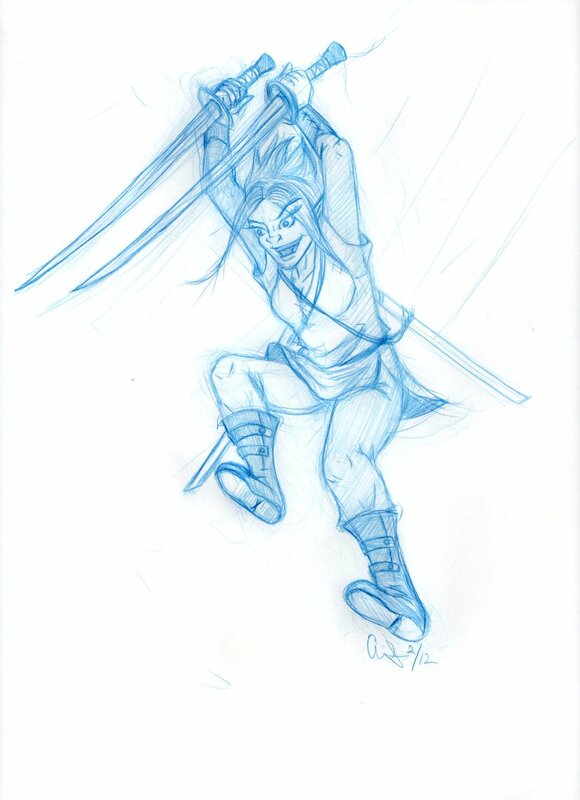 She likes to go berserk and cut people. I’m currently trying to convince a friend to play her brother and name him Biscuit or Cookie. 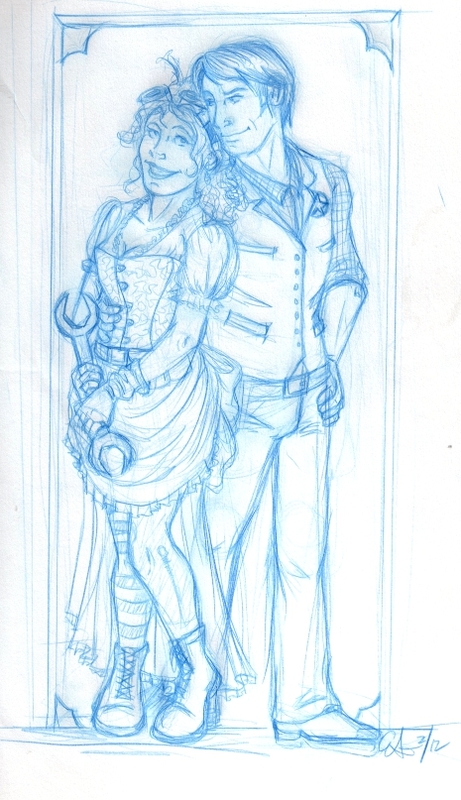 And two more work in progresses of characters from the Steampunk story I keep kicking around in my head. 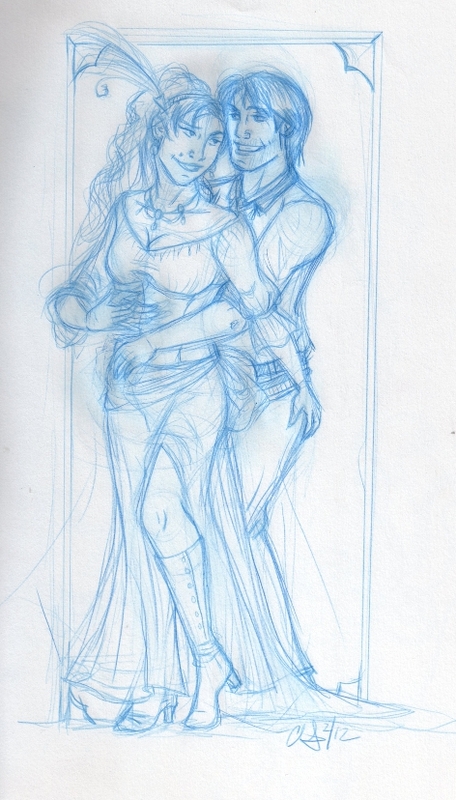 I’m hoping to ink and color these soon. Soiled Dove turned mechanic, Annabelle Leigh Langy and Deputy Luke Colt. And Madam Jezebel Norton and Bandit (and Luke’s baby brother) Charlie Colt. Aaaaannnddd…Thats all I got today.